The Shamrock Run is a Portland institution. The race has been run for at least 35 years based on some of the shirts I saw, I’m not sure exactly what anniversary this year was, but it’s been around for a while. An announced attendance of 35,000 runners puts it on par with a Disney or Rock and Roll series race. Thankfully unlike the half marathons we weren’t all hitting the road at the same time. 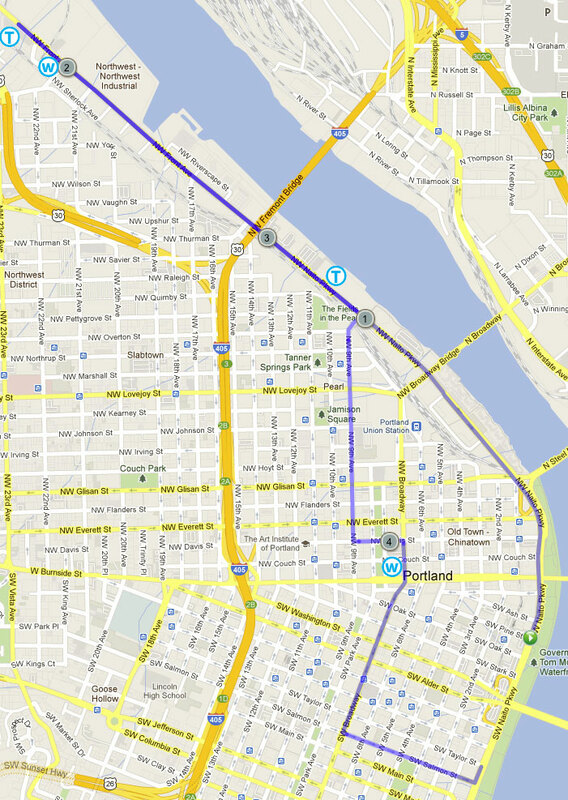 The Shamrock is comprised of 3 races, a 15K (9 miles) an 8K (5 miles) and a 5K. According to the announcer there were 11,000 for the 15K, 8,000 for the 8K and 12,000 for the 5K run, plus several thousand for the 5K walk and 500 or so for the kids dash. It was quite a crowd. 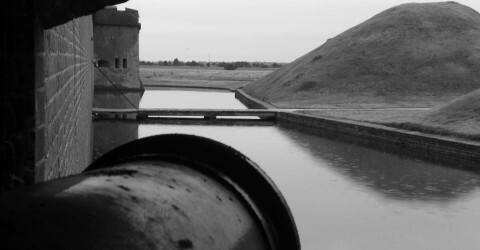 I was originally signed up for the 15K but thanks to nasty weather and another round of knee ailments I wasn’t able to get my training up to where I felt comfortable trying for 9 miles when the most Lisa and I had done recently was just under 5. Since all of the races cost the same I was able to drop down to the 8K rather easily, no transfer fee although no refund for a shorter distance either. Part of the reason I wanted to run the 15K was both for the challenge, and also $42 is an awful lot to spend on a 5K. It needed to be worth it to me. Lisa was unable to join me for this one due to church obligations and so I was running this one solo. Based on the success of taking the Max train into downtown for our New Years run, I decided to do the same thing for this race and let me tell you, that took so much stress away. Downtown is bad enough to try to navigate and park much less when there are roads closed and 40,000+ people milling about. The Max was a great decision! My Garmin decided to die before the race even started, so I don’t have my own route map from the GPS, but here is the official race route map from the race website. The majority of the race was along the waterfront and then up into the Northwest Industrial district. Not very scenic on the way out, but on the way back we were greeted with a vista of downtown and the Fremont Bridge. On the way back we cut through the Pearl and then down Broadway back to the waterfront running through the heart of downtown and past the Pioneer Square. It was a great way to end a race. Since my Garmin wasn’t working I had no idea what my time or pace was. I missed Mile 1 and was really beginning to question how far we had been when I saw the marker for Mile 2. We reached the turn around and the water stop and suddenly we were halfway done! When I reached the finish the clock said 1:20 but they started us with a “release and hold” system, not exactly like corrals, but close. They let a certain amount of people go and then stopped us to let those people spread out and head out before letting the next batch go. But, we had to wait for an extended period of time while we waited for an Amtrak train that was crossing our path up ahead. The gentleman behind me mentioned something about how long the wait was and that it had been 15 minutes since the original start. I figured I had run something around 1:05, which I would have been perfectly happy with. As it turned out, when I looked up my official time it was just barely over an hour, in fact it was one hour, one minute and one second. 1:01:01 was my official time. I’m very pleased with this time considering what my training regimen has been lately (non-existent). After the race I got my free beer and my free cup of smoked salmon chowder (which was incredible!!) hopped on the Max to come home and no muss, no fuss I was home and taking a shower less than an hour after I finished. I could get used to this. 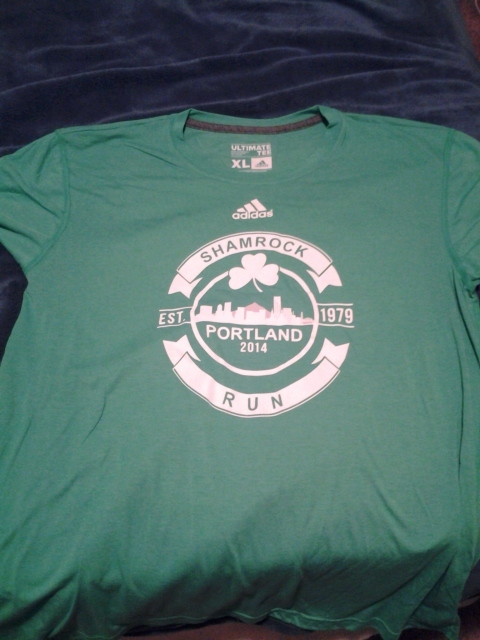 2014 Shamrock Run – Been there, done that, got the T-shirt! I am a recent graduate in Food Science (NC State, 2009) and I work for a major food manufacturing company. I love food, but I can no longer eat anything that crosses my path. About 24 months ago I begin a serious struggle to get my obesity under control and reduce my chances of developing Type II diabetes. Since September of '09 I have lost 50 pounds and I still have a long ways to go. I've started eating better and exercising more, including taking up running. I made Beer… and it was easy.